Your message has been sent to RiseSmart . Like authorSTREAM? Give us a +1! 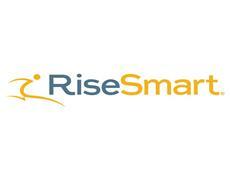 RiseSmart is a leader in enterprise career management solutions that drive engagement and improve retention. Visit www.risesmart.com for more info. RiseSmart uploaded a new presentation "How Layoffs can Affect Your Unemployment Tax Responsibility from RiseS"
RiseSmart uploaded a new presentation "How Layoffs can Affect Your Unemployment Tax Responsibility"
How a layoff can affect unemployment taxes next year and in the long-term along with how one can reduce unemployment taxes after a layo..
RiseSmart uploaded a new presentation "Making the case for Outplacement – Why choose RiseSmart?" How RiseSmart’s career transition technology and high-touch outplacement services will help you achieve brand protection, lower attriti..